I thought slavery was over? Democrats will never learn. Will blacks get anything for their support of Obama the second time around seeing they didn't get anyting the first time? We've all heard the old saying "why buy the cow, when you can get the milk for free". When you are able to get the milk over and over without fail, you then become accustomed to receiving that milk as a given. You tend to take it for granted that you will always get it. That is how the Democratic Party views blacks and other special interest groups. Once upon a time about thirty years ago or so, Democrats would promise blacks they would do things in order to win their votes. Of course the party never delivered, but they still got the majority of black voters to vote for the Democratic party. Now, the Democratic Party doesn't even promise blacks anything anymore. They just expect them to vote for them by simply panting the GOP as some racist extremist party that will return blacks to picking crops and will bring back Jim Crow. All I can say about that is that gullible and naive goes hand and hand. Thank god I am a critical thinker and can see through BS .One would think that blacks would be somewhat angry at the high black unemployment rate and especially the very high black teen unemployment rate. If the person in the white house was a white republican, then the so called black leaders would be raising high hell, but since the person is a black Democrat, the issue hasn't even been raised not even during the campaigns. Well now that the election is over, some of the black leaders are claiming to Obama that they are owed. Is the black community owed help from Obama? Not really, most blacks are the political property of the Democratic Party anyways. Recently the Urban League President Marc Morial wrote a letter to Barack Obama, Nancy Pelosi and for some odd reason John Boehner. The letter urged them to put "a special focus on those communities where unemployment is and remains stubbornly and persistently high." What Mr. Morial wrote in his letter sounds good in theory, but here's the problem with his request. Obama won the election. That means that he's a lame duck. There is no consequences if he does nothing to help address "those communities where unemployment is stubbornly and persistently high". Instead of Mr. Morial writing the letter after the election, it would have had more importance if he did so during Obama's first term and before the election not after. As for why he wrote John Boehner, I still can't figure that one out. To be perfectly honest, there is no political fruit to be gained by John Boehner by addressing the issue. The GOP is poison in the minds of blacks thanks to the Democratic smear machine and their allies in the black communities. I wonder why this wasn't an issue during National Association for the Advancement of Colored Progressive's 103rd annual meeting back in June? I do remember the audience booing Romney for saying he would repeal Obamacare. Obama was a no show. Joe Biden took his place and the issue of the high black unemployment rate didn't even come up. In the grand scheme of things, it didn't matter. Obama received 93% of the vote from blacks. NAACP President Benjamin Jealous said Obama should raise taxes on the rich by implying “we need Republicans to think hard and to pull back from the cliff, 98 percent of our families, who make up the bulk of this nation, from seeing our taxes being raised.” Interesting that Mr Jealous would say something so incredibly stupid like which he said. For starters, fifty percent of Americans do not even pay income taxes.. Second, why would Republicans ever listen to the likes of Benjamin Jealous? Are they going to be suddenly liked by blacks if the GOP abandons it's platform of being against higher taxes? You all know the answer to that. When it comes to fake black leaders, I can't leave out the most well known fake reverend and all around race hustling poverty pimp Al Sharpton. Al said after meeting with Obama a few days ago "“the president heard us loud and clear” about raising taxes on those making over $250,000 during the fiscal cliff negotiations and not cutting spending on programs that impact the middle and working class". Democrats have been foaming at the mouth over the comments by Mitt Romney after the election when he spoke to donors, when he said "he just couldn't compete with Santa Clause" meaning Obama. That comment harps back to his 47% remark. Romney was 100% spot on correct and accurate in what he said on both occasions. Al Sharpton actually spilled the beans. Sharpton just like Jealous wants taxes increased on those ultra rich two hundred fifty thousand dollaraires so that there would be no "cutting spending on PROGRAMS that impact the middle and working class". This is about fleecing the tax payers in order to reward the tax users. What Al doesn't get is that the middle class has been eroding for the last four years even with funding of his beloved social programs in place. The country is technically broke and the only thing that black progressives just like their white counter parts care about is keeping the printing presses running in order to keep the gravy train running just a little bit longer until they are out of power, then the train can officially derail. I would ask when will most blacks finally wake up and realize what is going on, but I am not going to do that. It's easy to lead people based on emotion, but you can't do it with facts. They have to come to that conclusion on their own, and it's not happening anytime soon with blacks. If this is what Obama meant with his campaign slogan of "forward", then the country would be better served if we went in reverse. I keep hearing from the utterly clueless Obamatrons that the economy is getting better, yet there is now evidence to be found of that. Actually, things are getting worse. Here is one sad indicator that this thanksgiving will not be like the traditional thanksgiving that tens of millions of families have enjoyed in years past. For the first ever, "more Americans Will Use Food Stamp to buy food for Thanksgiving. Welfare spending has become the country's biggest expenditure even surpassing military spending. This wasn't really a surprise. When the jobs market isn't even creating enough jobs each month to keep up with the growth in the population, something had give and, this is the sad result. The supporters of dear leader get made when people on the right refer to him as "the food stamp president". All they are doing is accurately echoing the truth. It's too bad he can't be called the jobs creation president. Creating jobs in the federal bureaucracy to deal with the ever expanding welfare roll doesn't count. So much for private sector layoffs due to Obamacare being branded as "rightwing corporate revenge". Only a foolish person would have thought such nonsense to begin with, yet there are a lot of foolish people who resides in this country. The supporters of dear leader can't explain away that Obamacare is indeed what Republicans,conservatives and leading corporate and healthcare leaders said it was going to be all along, a "jobs killer". Since they can't explain it, they are now in a pitiful effort trying to make it out to be a vast right wing CEO's revenge against the working man theory. That theory can only hold up as long as companies and business owners were known to have backed Mitt Romney. So what's going to be the excuse, when a company starts laying off workers who's CEO and executives were known to have been backing Barack Obama? Well, lets take Stryker Corporation for example. Strkyer is a medical equipment manufacture. Jon Stryker is the heir to the Stryker company. He's on the Forbes fortune 400 list of richest people with a net worth of $1.4 billion dollars. You know, I thought that the whole rich thing was suppose to have been exclusive to white republicans. Jon is a billionaire "white Democrat". Anyways, Strkyer Corporation has announced it is going to be closing a plant and laying off workers as are result of the Obamacare excise tax. So why would a die hard progressive Democrat activist white billionaire support a person who' policy would be so harmful to his business? So could this be said that a Democrat cared more about getting Obama re elected then caring what was going to happen to his employees as a consequences? 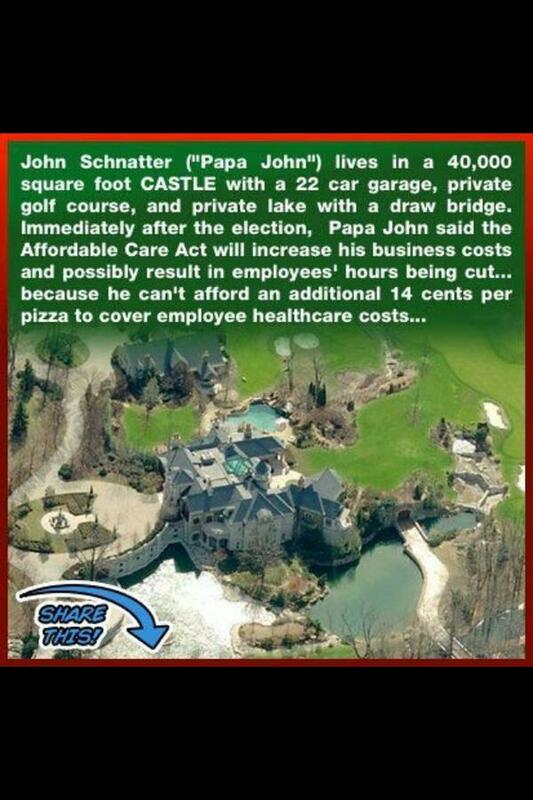 Since Jon was a donor and supporter of Obama, this puts to rest that Obamacare layoffs are just a right wing thing. It is simply a bad law that is impacting businesses regardless of political affiliation of the owners and CEO's of the companies. Combine Stryker with the dozens of corporations who have announced huge layoffs within days after the election, it's a certain that the u3 unemployment rate will be back above 10% early in the new year. This isn't even close to being the tip of the iceberg. On a side note to what is now the "new normal" going forward, John Metz who is a Denny's franchisee owner of 48 Denny Restaurants has just announced that they are going to be charging a 5% surcharge on each customer's check to pay for Obamacare, and they will be cutting their employee's hours to deal with it. Obamacare dictates that any company which has full time employees must provide them with healthcare. Under Obamacare, a full time employee is considered anyone who works a minimum of "30" hours. In the real world, 40 hours is full time. The subheadline under the story by the Daily Mail explains it all. Darden Restaurants which owns Red Lobster, Olive Garden and Long Horn Steak House was reported a few months ago that it was cutting back employee hours in certain restaurants as a test to see if it could become company policy nationwide in order to deal with Obamacare. Romney lost the election by just 300,000 votes. For all the great talk by the progressive chattering class about some grand win by Obama, the evidence shows otherwise. I voiced my concern during the GOP primaries that Romney wasn't that strong of a candidate. Conservatives were picking through conservative candidates during the primary cycle in order to try and find the "anti Romney" candidate. I hate to sound like a broken record, but I guess I must in order to drive this point home. The talk by the left and some gullible Republicans is that Romney lost, because Hispanics, single women and young people came out for Obama. That is as wrong as two left shoes. Did they come out in support of Obama? Yes they did, but they weren't the reason Romney lost. These groups always vote Democrat, so that is nothing new. Romney lost the election due to a lack of enthusiasm among his own base. According to Michael Patrick Leahy over at Breitbart, Romney lost the election because of not getting 333,000 votes in 4 swing states, that's it. So again, all this talk about minorities, single women and young voters being this great force was true four years ago but it wasn't this time around.. It's interesting to note that the four battleground states that went for Obama all have Republican governors.. Here's the break down of each of the four states, and this will point to why conservatives were right to have questioned the strength of Romney early on. This was the vote break down in 2008. In every battleground state Obama won in 2008, his vote totals were down noticeably in the 2012 election. If Romney was a strong enough candidate, he would have received those 333,000 votes in those four states and would have won the election. Put it another way, if Romney would have received the same vote totals that Bush received in 2004 in those four battle ground states, he would have been president elect Romney. 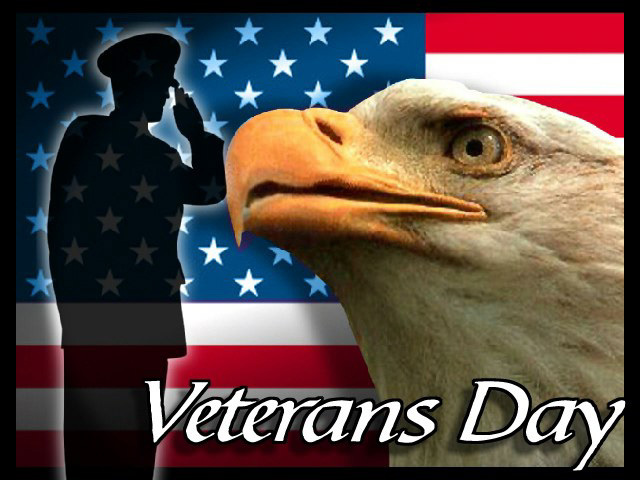 To America's Armed Forces, thank you for your service. 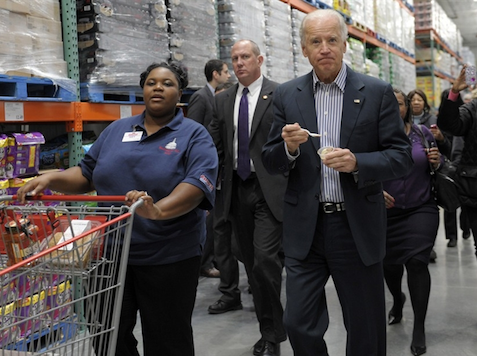 Elections have consequences:Companies are planning massive layoffs due to the Obamacare law. This looks like a tactic taken right out of Occupy Wallstreet, demonize CEO's and successful people for being successful and achieving the American Dream. Come next year, progressives are going to be boycotting a lot of businesses then, because a lot of businesses are going to be issuing massive layoffs or converting their full time workers to part time status due to Obamacare. Since they can't blame Bush or Republicans, I suppose they will blame businesses. The real world of business doesn't stop medley because Obama was re elected. It just adjusts and not in the way the left wants it to. No good deed goes unpunished I guess. Deconstructing the Romney Campagin and what went wrong. Where exactly did the Romney campaign go wrong? Was there anything ever right with it to begin with? It was everywhere and in between. Even though Obama was the incumbent president, he was more beatable now then four years ago. He couldn't run on his record, so he had no choice but to go on the offense against Romney. Obama's campaign was about class warfare and using Saul Alinsky's Rules for Radicals on Romney, The blueprint was simply to isolate, polarize, stigmatize and make it personal against Mitt Romney. Back during the 2008 president campaign, a black gentlemen at a John McCain rally pleaded with McCain to be aggressive in attacking Obama. McCain said that they had nothing to fear if Obama became president, and that Obama would be a good president, but he himself would make a better one. The Republican Party has become a party of chumps. That's one of the main reasons I am no longer one. The GOP does not know how to aggressively fight Democrats. Democrats always show up to a political street fight with knives and guns, while the GOP shows up with over weighted boxing gloves. It was stupid for the the GOP to believe that they could run a traditional feel good campaign against the Chicago-Daley machine where lying and bare knuckle politics is mandatory if you are a Democrat. I'm not buying into the noise that the reason Obama won was due to the turnout of minority, women and young voters. It's already been stated that the turn out was LESS then it was in 2008. So what does that say? It's very interesting actually. This shows that clearly the bloom was off the Obama rose from four years ago. Over ten million fewer people voted for Obama the second time around for Obama, and Romney received over two million few voters then who voted for McCain. If Romney could have exceeded the McCain turn out, the election results may have been different for him. Sean Trende at Real Clear Politics posted a story entitled "The Case of the Missing White Voters". Eight million fewer white voters voted in this election. It was reported over the last few years that Obama was losing major support among white voters, so it does make sense why Obama had such a huge drop off from 2008. So as much as the chattering class wants to make issue about the minority turnout and the GOP, it really would have been small if the same amount of whites voted then in 2008. I've said as did others last year around the beginning of the GOP primaries that Romney would have a problem energizing the conservative base. The rule of politics is to 1. Capture your base 2. Expand your base 3. Win over independents to get the majority. The Romney camp just assumed that it had conservatives and the Tea Party vote locked up, it didn't, because they didn't like Obama. I've talked to conservatives who told me that there wasn't a dime's worth of difference between Romney and Obama. To a certain degree, they were right. So if others also believed that on the right, what was the incentive to get energized about Romney?Conservatives were doubting whether Romney would indeed repeal Obamacare if he won. Other issues with Romney was that he focused way to much on saying he would create jobs. He never spent any time talking about how bad Obamacare would be once fully implemented. That should have been one of the core issues of his campaign. Gas Prices and inflation should have been another, again barely touched. The strategy for the Romney team to not spend money early on in battle ground states was beyond dumb. They figured that Obama would spend most of his money early on, and he wouldn't be able to counter a last minute onslaught of Romney ads. The problem with that strategy is that Obama had months to create a false picture about Romney in those swing states. You only get a first chance to make a first impression. That is why people were so shocked at how good Romney did during his first debate. He came off as not appearing as the monster the Obama team depicted him as in their marketing campaign. Oh wait, I have one more to add. The Romney campaign actually suppressed it's own voters due to technical difficulties on election day with it's get out the vote system. All of this doesn't matter now anyways, but it's best to learn from the mistakes of history so that they aren't repeated again in 2016.
Who was grateful for Hurricane Sandy destroying people's lives so that Obama could win the election? A few days ago, when I wrote the story about how Sandy has become Obama's Katrina, I received several emails from people who claimed I was "politicizing" such a tragic event. I took what was said in stride and explained that I wasn't going to bite my tongue and be silent, when I was telling the truth about the situation. When conservatives and Republicans made claims that Barack Obama politicized the aftermath of Hurricane Sandy by doing a photo op with Chris Christie, the left in their typical form lashed out at the right and said that it wasn't true. Obama cared about the victims in New York and New Jersey. I just love it, when I am proven right. 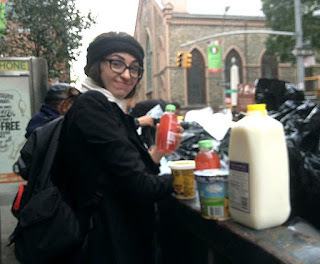 For those who wanted to criticize myself and the right for comparing the Katrina and Sandy, tell me if you are also upset at this person who said " I AM SO GLAD WE HAD THAT STORM LAST WEEK and others who feel the same way. By the way as you pointed out to me, people died because of Sandy and many are homeless, hungry and still have no power.. Don't be two faced. Step up to the plate. Obama isn't the only one who won tonight. I was trying to figure out where to start. Barack Obama is projected to be the winner over Mitt Romney. In the grand scheme of things, I'm not even remotely disappointed, I'm actually kind of glad. I'm more irked that Mia Love lost in Utah and gay marriage passed here in Maryland. I don't want conservatives to think that I've flipped my lid, because I haven't. A few weeks ago, I came to a conclusion while thinking about Mitt Romney's campaign. As a conservative, I wasn't a fan of Romney, I just wanted him to beat Obama, and I guarantee that 99% of other conservatives felt the same way. I realized that I fell right back into the trap of 2008 in backing McCain. Barack Obama isn't the only winner from this race. The Tea Party and conservatives can once again look at the Republican establishment and say with conviction that the establishment is 0-2 with their candidates at the top of the presidential ticket. This is going to sound weird, but it makes perfect sense. Barack Obama won so the counter balance is that the United States economy lost. The GOP establishment's candidate Mitt Romney lost which means conservatives and the Tea Party won. Four years ago, I said that the reason why John McCain lost was due to the fact that he didn't have an energized base. He was a moderate who thought just, because he was going against Obama, he was automatically going to get the conservative vote. In other words, McCain and the establishment thought conservatives were like subservient blacks to the Democratic Party. Romney doomed himself following the same McCain blueprint. He tried to overreach to independent voters. Right after the first debate, I noticed Romney was starting to speak more and more about being able to work across the aisle with Democrats to get things done. McCain had a similar message in self branding himself as a "Maverick". Noting turns off conservatives faster then talk of bipartisanship. They want a candidate who will fight for conservative ideas and take the fight to the liberal candidate. Romney tried to play nice against Obama just like with McCain. Romney always talked about how the economy wasn't doing fine, but he never personally linked it to Obama over it. Ronald Reagan had no problem bashing Carter over the head with it at every turn. In the third debate, Romney had a clear opening to destroy Obama over the Benghazi Libya cover up, he let Obama completely off the hook. Reagan nor any conservative wouldn't have been so merciful. Obama's win is actually a blessing for conservatives and the Tea Party and to a point the Republican Party. Now that Obama has been re elected, the economy will surely fall into recession sad to say, but he now has no one to blame officially, no Bush, no Bush, no Bush. When Obamacare fully kicks in and people start losing their insurance cover from their employers by the millions, Obama can't blame the right. His legacy will be tarred as people first hand will discover that he was the one who ultimately screwed them over. With the country predicted to be over 21 trillion dollars in debt and in deep recession, it will be impossible for any Democratic candidate to run on Obama's coat tails in 2016. As it stands, Obama and the Democrats won the battle, the economy and the GOP lost battle, but the Tea Party and conservatives are poised to win future battles and the war. The progressive bias of MSNBC mocked by "SNL"?! Pew Research has discovered that MSNBC is far more partisan then Fox News is by far. That's really not a shock to me and others who know how MSNBC is. According to Pew Research "From August 27 through October 21, 71 percent of MSNBC's coverage of Mitt Romney this year was negative, far outperforming Fox News's negative coverage of President Barack Obama, which came in at 46 percent, according to a new survey by the Pew Research Center's Project for Excellence in Journalism. The negative-to-positive ratio on MSNBC was roughly 23-to-1; the negative-to-positive ratio on Fox News was 8-to-1." MSNBC's slogan is "learn forward". Obama's campaign slogan is "forward", go figure I know. Another name for forward is "progress". So what if the word forward in MSNBC's slogan was replaced with the word "progress", it would then say "lean progress", well that doesn't make much sense right? Exactly, but add the letters "ive" to the word progress, and what do you have"? You have LEAN PROGRESSIVE, AKA LEAN LIBERAL. For as much as the hard left tries to paint Fox News as the news network of the vast right wing conspiracy, it simply doesn't hold true. Fox News actually has more liberal news commentators then MSNBC has republican or conservative news commentators. Joe Scarbough is a moderate republican, and, S.E Cupp is really the only conservative on MSNBC. I can go down the laundry list of liberals on Fox News. It's one thing for me and those who are politically astute to understand that MSNBC is quasi news outlet, but when Saturday Night Live knows it and makes fun of them for their bias, their bias isn't going unnoticed outside of the realm of those who typically do not follow politics.SNL did a extremely funny skit on how the MSNBC pundits reacted to the first Romney-Obama debate, h/t daily caller. Hurricane Sandy has become Barack Obama's Katrina. I'm going to present a scenario for you all to think about. Imagine if you will a strong hurricane that struck in a densely populated area which flooded cities and towns leaving thousands of people stranded while also knocking out power to millions of people. Now imagine that days after the storm has passed, people were starving due to a lack of food which resorted to in some cases looting, areas running out of gas, immense infrastructure damage etc. Lastly, let's say that the federal government's response was not up to par. Are you thinking I am making reference to George W Bush and the aftermath of Hurricane Katrina in New Orleans? No, I am not. This is what is happening in the aftermath of Hurricane Sandy in New York City and in parts of New Jersey like Hoboken. 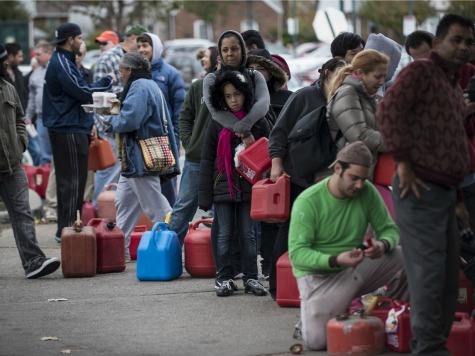 Four days after Sandy, people in Staten Island New York have no food., clothing, gasoline for their generators etc. Five years ago, then U.S Senator Barack Obama implied that the slow response to Hurricane Katrina victims was due to racism. Rapper Kayne West claimed that "Bush didn't care about black people" because of how Katrina was handled. Progressives and their media allies made it their mission to tar and feather President Bush as a racist. So let's talk about Sandy. Is Obama a racist also? Do the same rules apply and if not why not?The only contrasts as I see it is that in the case of Sandy, many of the victims of the Sandy are white as opposed to the Katrina victims in New Orleans who were mostly black. Also, we can't ignore the other obvious. Bush was a white male Republican where as Obama is a black male Democrat. Of course progressives are going to be quick to claim that there is no double standard in how these two weather related tragic events have been covered. Of course, I know better. The media was more then happy to take pictures of Barack Obama with Governor Chris Christie in an attempt to give him a boost in the polls . Good luck in the national media showing footage of people garbage diving for food , because they can't get any help from the government. Correction, they would show it if the president was white and a Republican that is. Sandy is Obama' Katrina no doubt about it.